I love my vegetables, but sometimes they need a little facelift to change things up. I’m always looking for different ways to serve them so why not a zucchini & carrot cake? The inspiration behind this idea came from a potato latke, which are a tasty fried potato cake treat. Unfortunately potato latkes are not particularly friendly to the old waistline, so I made a version with some healthier veggies and left the frying out of the equation. These are great on their own, but I made a dill yogurt topping to go with these cake creations and highly recommend you do the same. 1. Preheat oven to 375º. 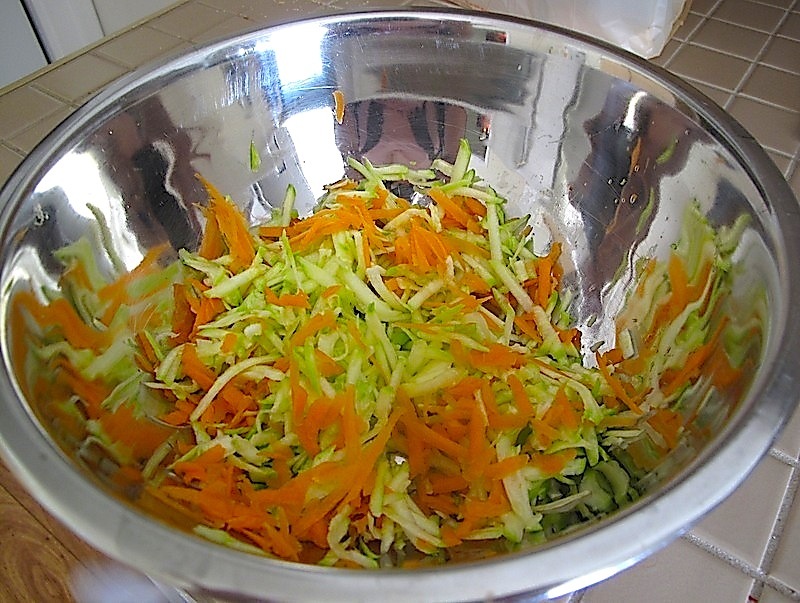 Grate zucchini and carrots. Squeeze out excess liquid with a paper towel. 2. In a bowl mix grated veg with egg. Stir in flour, garlic powder, seasoning salt and pepper. 3. Form into 4 patties. Place on a lightly greased baking pan. Bake for 15 mins, flipping halfway. 4. While cakes are baking, mix all ingredients for the dill yogurt topping in a small bowl, chill till ready to use. 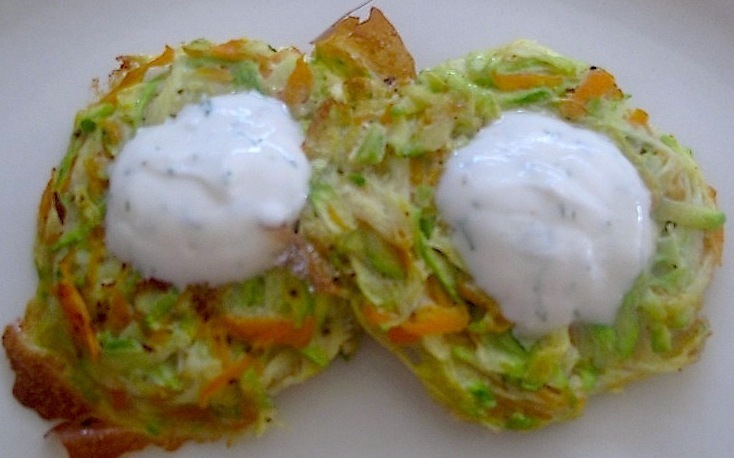 This entry was posted in Sauces, Sides, Vegetables and tagged baked, carrots, cooking, Diet, dill, food, healthy, latkes, Recipes, vegetables, yogurt, zucchini by Karina. Bookmark the permalink.